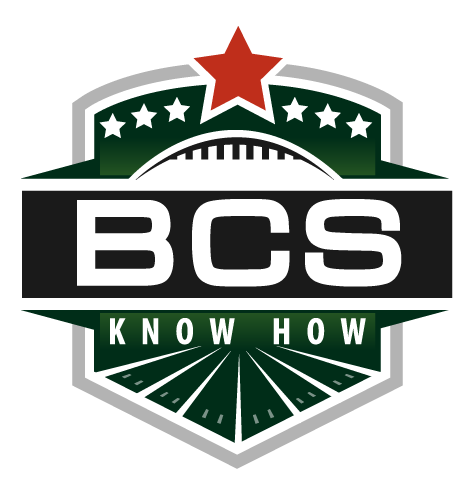 BCS Know How is taking you through the six automatic-qualifying BCS conferences in preparation for the 2013 season. Our easy-to-digest previews come to an end with the vaunted SEC. Scroll down to see our profiles of the other conferences. BCS Know How is taking you through the six automatic-qualifying BCS conferences in preparation for the 2012 season. Our easy-to-digest previews come to an end with as much of a “BCS” conference as there is, the SEC. Scroll down to see our profiles of the other conferences. 2012 Outlook: By now, you probably know the story, the debates and the outcome. For the first time in BCS history, 2011 saw a title game between two teams from the same conference. It wasn’t all that surprising that the conference that was first the break through that barrier was the SEC, which has now provided the BCS’s last six champions. Alabama was victorious in that game, after being bested by LSU earlier in 2011’s regular season. But that now must become a memory, as the conference searches for its next title hopeful. The question is, of course, would their best hope be the Tigers and Crimson Tide again? Or can another squad from the ever-deepening rosters of the SEC send another team to the top? This certainly isn’t a two-team conference, and with two new teams this year — Big 12 transfers Missouri and Texas A&M — the conference has literally never been deeper. While the two newbies probably don’t have the firepower to hang with the Tigers and Tide, there are plenty of teams that do. South Carolina, Arkansas and Georgia join Alabama and LSU as consensus top-ten teams across the country, and just like last year, this season could be another one dominated by the SEC, long the pride of the short-for-this-world BCS. The SEC finally welcomes Texas A&M and Missouri officially Sunday, marking the conference’s first expansion since 1991. Both schools join the Southeastern Conference after vacating spots in the Big 12, where the Aggies and Tigers were among the founding 12 members in 1996. The Big 12 also lost members Colorado and Nebraska to the Pac-12 and Big Ten, respectively, after both schools left last season in the first major parts of realignment. The SEC now includes 14 schools, seven each in the Eastern and Western divisions. The champions of each division will again play in the annual SEC Championship Game, which will be held on Dec. 1 this year. With its 42-10 victory over Georgia in the SEC Championship Game, the LSU Tigers have claimed the SEC’s automatic bid to the BCS and are headed to the BCS National Championship Game. LSU ends the season as the only undefeated team in the Football Bowl Subdivision. The Tigers beat eight teams ranked in the top 25 this season at the time of their meeting, and ran through the SEC undefeated for the first time in school history. Thirteen victories, almost all of which came in a national spotlight, gave the Tigers the exposure they needed and they delivered on the spotlight, allowing LSU to be the undeniable No. 1 team in the country. The Tigers even received a perfect score from the BCS in the last two weeks, as the computer rankings also respected the Tigers’ overall resume. The Tigers are likely to face Alabama in the title game, a rematch of a 9-6 Tigers victory earlier this season. This is fifth in a series of conference profiles as part of BCS Know How’s season preview. 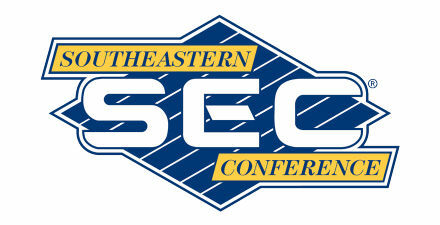 Today’s conference is the SEC. 2010 Outlook: Like clockwork, the SEC has supplied a contender in the BCS National Championship Game every year since the BCS moved to the five bowl game format at the end of the 2005 season. And even more impressive, the SEC has supplied the national championship each of these past four seasons. Can the most-feared conference in the country make it five in a row? 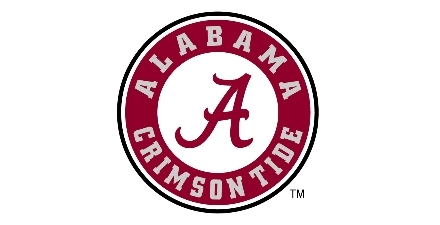 Any conversation about national title hopes would have to begin with the Alabama Crimson Tide, who are not only the defending BCS champions, but feature three potential Heisman trophy hopefuls, QB Greg McElroy, WR Julio Jones and defending Heisman recipient RB Mark Ingram. Last season this trio, along with a classic SEC-style attack of speed and power tore apart the SEC during the regular season, and then defeated the seemingly untouchable Tim Tebow in the SEC Championship Game on their way to a national title. This season, although Tebow is gone to the NFL, the SEC continues to feature the great conference depth from top to bottom, making Alabama’s road to repeat as difficult as one might expect. Traditional contenders Auburn and Georgia are on their way back to the top of college football after some sub par seasons, while SEC strongholds Florida and LSU continue to thrive despite losing skill all around the field every year to the NFL. Florida will be hard pressed to replace Tebow and may struggle early with a new quarterback at the helm of the Gator offense. This may leave the SEC’s Eastern Division — the domain of Florida during the Tebow years — up for grabs. Georgia seems to be ready to make that move and return to the SEC Championship Game after an extended absence, led by wide receiver AJ Green. Arkansas and QB Ryan Mallet will challenge for the Western Division crown, which Alabama and LSU have held to tightly the past few seasons — and the race there could go undecided until the final weekend, when LSU takes on Arkansas at the Razorback Stadium. 2010 Heisman Hopefuls: Alabama RB Mark Ingram; Georgia WR AJ Green; Alabama WR Julio Jones, Arkansas QB Ryan Mallet. Valiant as it was, Texas’s comeback despite the game-ending injury to Colt McCoy was too little, too late, as the Alabama Crimson Tide captured the BCS National Championship 37-21 Thursday night. McCoy and the Longhorns got a quick start after a Crimson Tide fake punt was intercepted, but on the very first series of the biggest game of his life, McCoy injured his throwing shoulder and was done for the game. His backup Garrett Gilbert came in and looked shaky to put it lightly. After scoring the first six points of the game, the Longhorns gave up 24 unanswered to finish the half, one of the scores coming on a 49-yard rush from Trent Richardson, who was featured heavily after Heisman Trophy recipient Mark Ingram came out of the game with an injury of his own. However, a post-halftime revival and Jordan Shipley nearly brought the Longhorns all the way back, as Gilbert broke loose in the second half, throwing for two touchdowns, both to the Longhorn receiving star. After bringing the game to within a field goal at 24-21, Gilbert showed his youth as he was sacked and fumbled the ball near the goal line. Unlike McCoy, Ingram was able to return, and his one-yard touchdown run sealed the victory for the Tide late the fourth quarter. Ingram broke the recent trend of Heisman winners coming up short in the national title game as he rushed for 116 yards and two touchdowns despite his injury. Richardson also contributed a 100-yard performance with two scores, as the Longhorn defense had no answer for the Tide’s strong rushing attack. Alabama’s victory also gives the SEC four straight BCS national champions, a streak that looks more and more impressive as now three different schools have won the four titles: LSU, Florida (twice) and now ‘Bama.